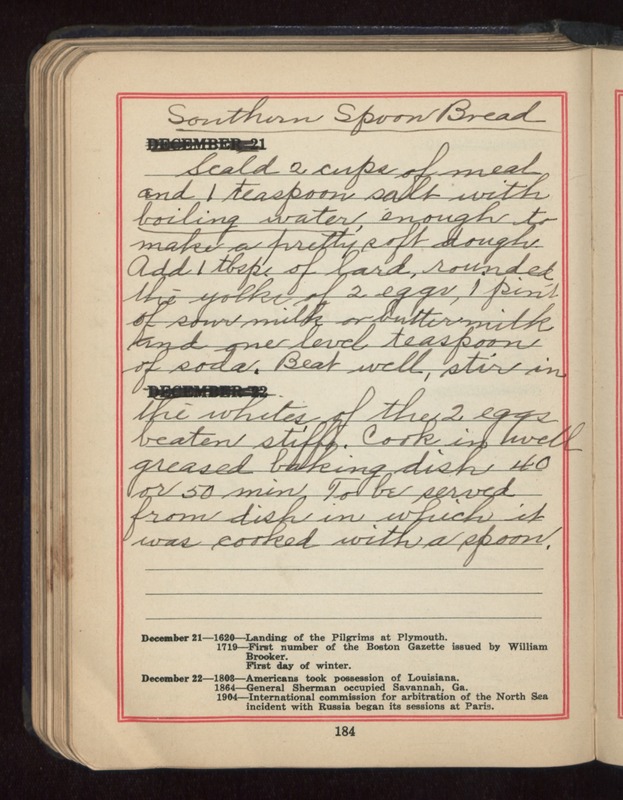 Southern Spoon Bread Scald 2 cups of meal and 1 teaspoon salt with boiling water, enough to make a pretty soft dough. Add 1 tbsp. of lard, rounded, the yolks of 2 eggs, 1 pint of sour milk or buttermilk and one level teaspoon of soda. Beat well, stir in the whites of the 2 eggs beaten stiff. Cook in well greased baking dish 40 or 50 min. To be served from dish in which it was cooked with a spoon.